Please Note: Ages, weights and child heights are approximate. 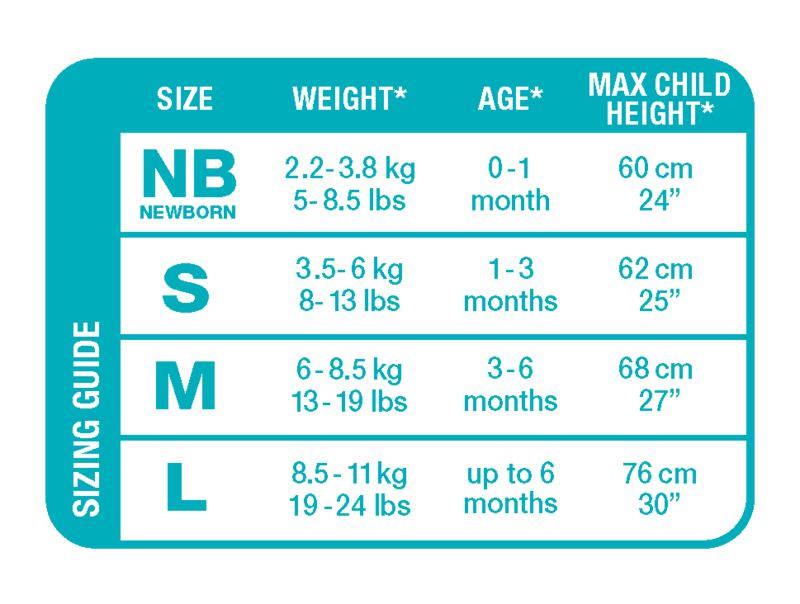 For best fit result please select size according to your child's weight, not their height or age. You must stop using Swaddle Up when your baby shows signs of trying to roll and transition to Swaddle Up Transition Bag or Suit.